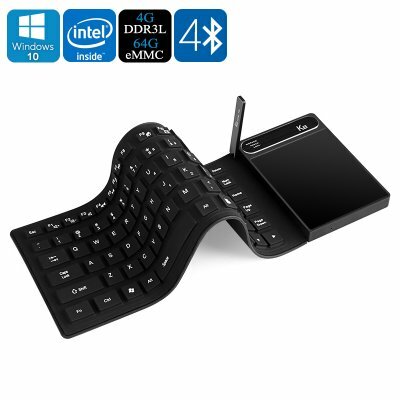 Successfully Added K8 Mini Keyboard PC - Windows 10 OS, 87 Keys, Wi-Fi, VGA, HDMI, 4K Movie Support, Intel Atom x5-Z8300 CPU, 4GB RAM, 64GB Memory to your Shopping Cart. well, i'm delighted with this kind of pc. look so practical to use anywhere and i think i could use it for my usual activities on internet. way to go! It is great mini portable pc and very easy to use! Very very handy and useful. It can be used in traveling too. Nothing to add now. It can be decided only after use.